Self-proclaimed "Chick Bank Robber" Hannah Sabata successfully robbed a bank and shared her accomplishments on YouTube. So no one was surprised when the teenager was busted by the cops shortly thereafter. The 19-year-old Sabata held up a bank in Waco, Nebraska, and stole a car, according to her own YouTube confession. She bragged about her crimes in a video clip that runs nearly 8 minutes long. Unfortunately for Sabata, her video also alerted police. Even more embarrassing, she didn't make it difficult for them to find her. In the video, the "Chick Bank Robber" made no attempt to hide her face. She even wore the same clothes from the scene of the crime, reports The Huffington Post. That was probably clue No. 1. Then there's the fact that Sabata clearly displayed some evidence for the video camera. Not only did she fan out the allegedly stolen cash, she also showed off the car keys for the Pontiac Grand Am she allegedly stole. Of course, Sabata isn't the first suspected bank robber who apparently failed to understand that YouTube is essentially a public space. That means anything posted on it could potentially be evidence if there is a suspected crime. In Sabata's case, however, she's made it just a little bit harder to use the evidence, because her statements about the crime will likely be considered hearsay. 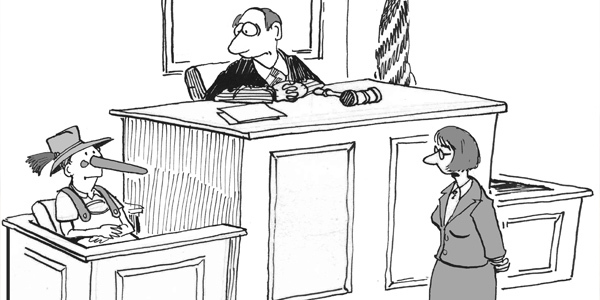 Hearsay is any statement made out of court that's offered to prove that the statement is true. Hearsay is considered inherently untrustworthy, since the statements weren't made under oath. If there's no oath, courts generally presume that people are lying, which tells you something about the legal system. There are, however, many exceptions to hearsay, which could get some of Sabata's verbal statements admitted in court. Even if Sabata's statements aren't admissible, the video itself will generally be considered to be evidence. That means those clips of her flashing what looks like drug paraphernalia and wads of cash could be used against her in court. It's unclear how Sabata is going to plead given her YouTube confession, but for now she's being held with bond set at $300,000, according to the New York Daily News. Her next hearing is scheduled for Dec. 26.